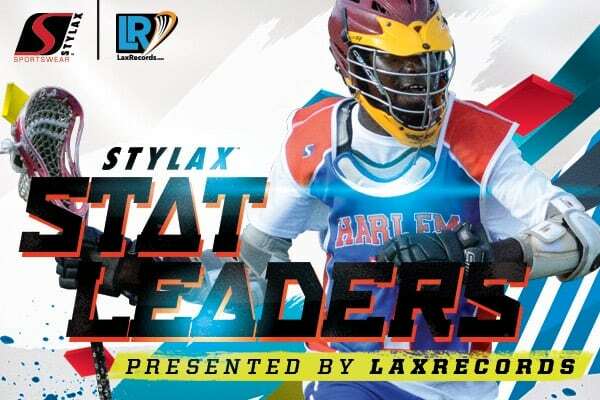 Each day boys’ high school lacrosse players, teams and coaches earn a spot on the Best Known Stat Leaders and LaxRecords.com posts a daily item acknowledging the achievement. Don’t want to miss a story during the week? Sign up for our weekly newsletter or check us out on Facebook, Twitter and Instagram. Central York (York, Pa.) scored 25 goals in a 25–1 win over New Oxford (Pa.) on Monday. 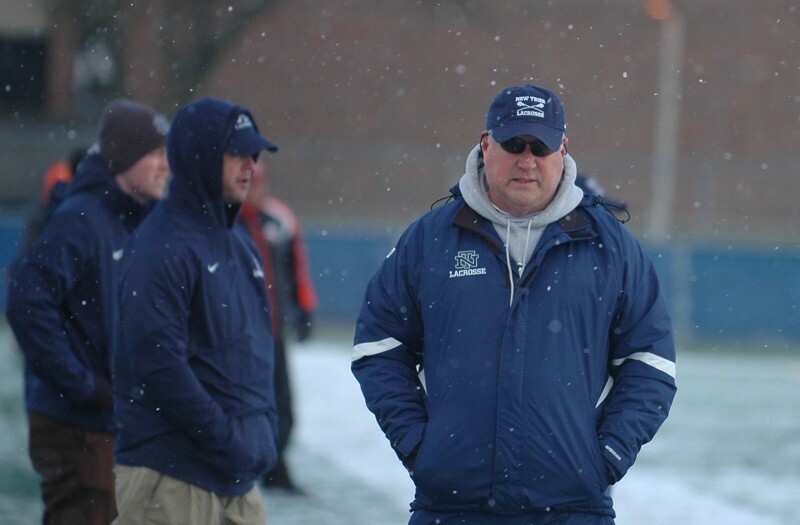 Several coaches earned milestone victories over the past few days. See the entire list of coaches that have reached or still can reach landmark wins this season. Tower Hill (Wilmington, Del.) head coach Brad DuPont earned win 200 with a 9–8 victory over St. Andrew’s School (Del.) on April 27. Ryan Ward earned the 150th win of his career with Eden Prairie (Minn.) on April 25. Ward led the Eagles to a 9–3 win over Minnetonka (Minn.) to earn the landmark win. Tom Herrala from New Trier (Ill.). New Trier (Winnetka, Ill.) head coach Tom Herrala earned win number 150 with a 13–5 victory over Evanston Township (Ill.) on April 27. Greg Normand got his 150th career win on April 30, leading Oxford (Mich.) to a 10–6 win over Crown Point (Ind.). Kyle Prouty scored 13 points for New Egypt (N.J.) against Lawrence (N.J.). The senior had eight assists and five goals. 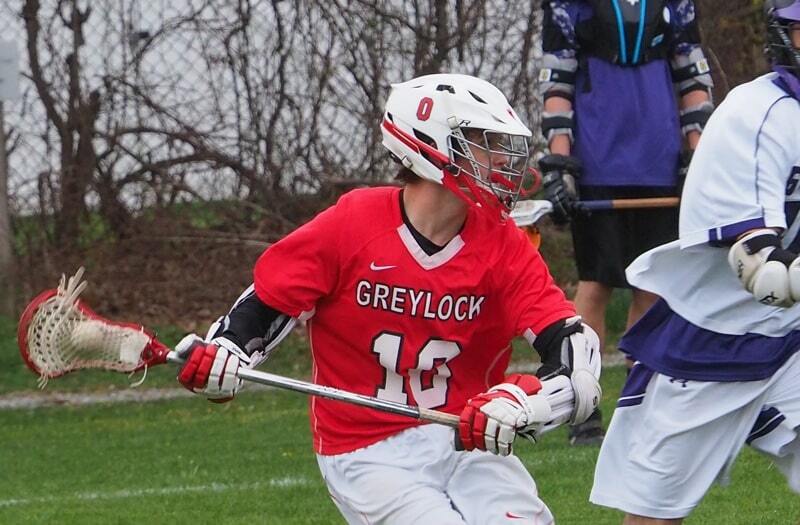 Reilly Parker had 12 points on six goals and six assists for Mount Greylock (Williamstown, Mass.) against Pittsfield (Mass.). The senior passed 100 career assists with his performance. Tyler Allcroft scored 10 points for Northhampton (Mass.) against Amherst (Mass.) on Monday. The junior had seven goals and three assists. Freshman Tyler Gorzyca had a career-high 10 points for Hackettstown (N.J.) against Cedar Grove (N.J.). Gorzyca had eight assists and two goals. Max Hoffer had five goals and five assists for Cambridge (N.Y.) in an 18–2 win over Voorheesville (N.Y.) on Monday. Junior David Mattia scored 10 points on eight goals and two assists for West Windsor-Plainsboro South (Princeton Jct., N.J.) against Nottingham (N.J.) on Monday. Nate Murtha had 10 points for Interboro (Prospect Park, Pa.) in a 16–15 win over Kennett (Pa.) on Monday. Murtha scored seven goals and had three assists in the win. Junior Nicholas Tello had 10 points on five goals adn five assists for West Windsor-Plainsboro South in the win over Nottingham. Vincent Cartelli scored eight goals for Somers (Lincolndale, N.Y.) in a 16–4 win over Guilderland (N.Y.) on April 29. Andrew Bernstein scored seven goals, including the game winner, for Scarsdale (N.Y.) in an 11–10 win over Westlake (N.Y.). Canyon Birch scored seven goals for Manasquan (N.J.) against St. Rose (N.J.). The sophomore has 50 goals this season. Isaac Newland scored seven goals and had two assists for Sleepy Hollow (N.Y.) in a 17–12 win over Lourdes (N.Y.) on April 29. Ryan Westman scored seven goals and had one assist for Ponderosa (Parker, Colo.) in a 14–6 win over Pueblo West (Colo.). Senior Stefan Paul had seven assists and one goal for Dwight-Englewood (Englewood, N.J.) against Tenafly (N.J.). Zack Mueller made 24 saves for Lenape Valley (Stanhope, N.J.) against Hanover Park (N.J.). Senior Paul Daglian made 20 saves for Chatfield (Littleton, Colo.) in a 6–5 win over Dakota Ridge (Colo.). Nick Ryan made 22 saves for Westlake in the loss to Scarsdale. Sophomore Phillip Caggiano made 21 saves for DePaul (Wayne, N.J.) against Lakeland (N.J.). Some records are incomplete. I ask for help from the lacrosse community to fill the missing gaps. If there is a performance or player missing, please email me at mloveday@laxrecords.com or send me a Tweet at @LaxRecords.